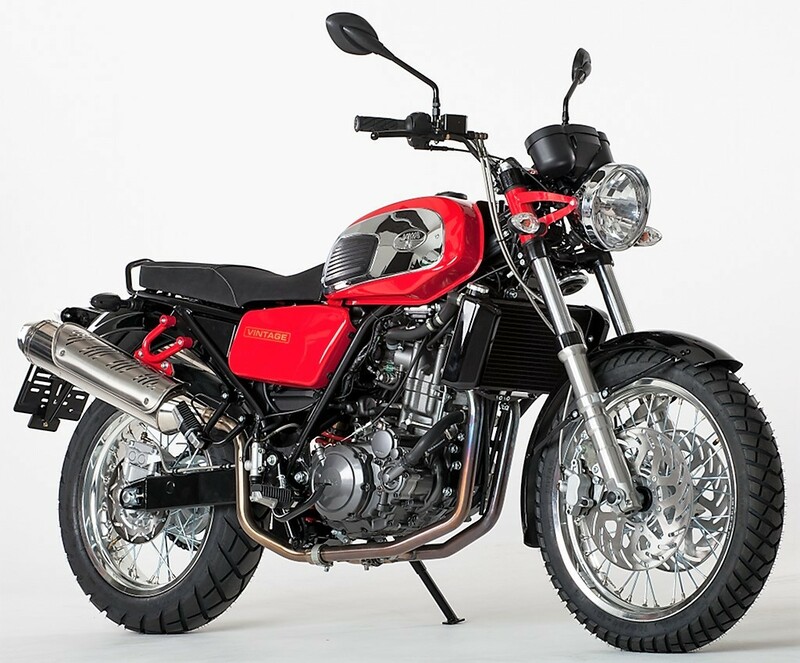 Jawa, the well known motorcycle brand of the 20th century, is back with a bang as it brings out the second product, 660 Vintage to the fans in Europe. 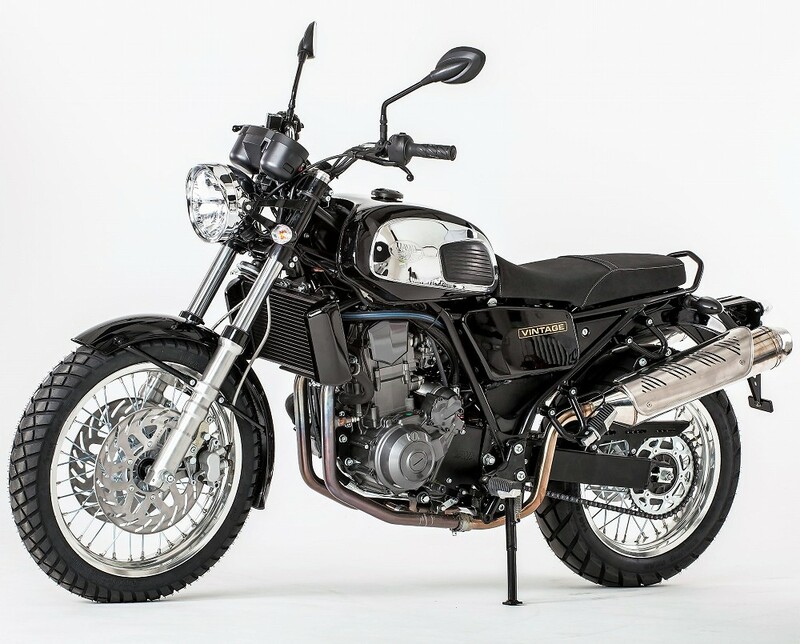 Currently being manufactured in Czech Republic, the Mahindra owned brand is back into operation with its new four stoke motorcycle duo. Jawa 660 Vintage is actually not all new as it uses the older Minarelli sourced 660 cc, liquid-cooled, twin cylinder engine that was once used back in 2011. The design language followed on the same is highly inspired from the 350, further getting the standards raised through more equipment. 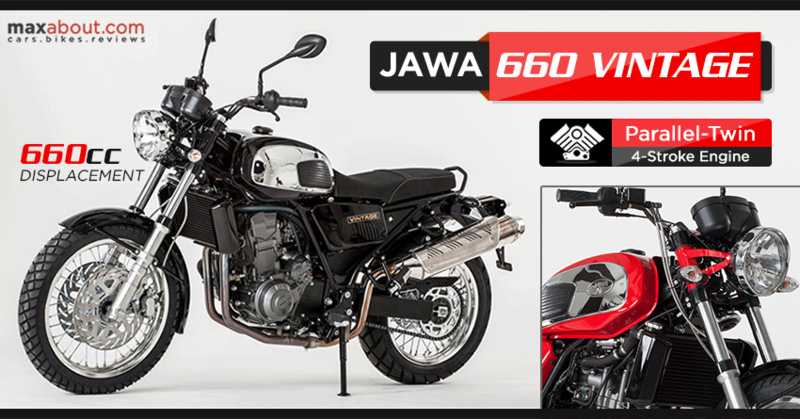 Jawa 660 Vintage has a street focused design, carrying the regular round headlight and flat seat for retro appeal. The fuel tank is huge and finished with chrome on both the sides. It comes with raised twin exhaust and gets body colored panels holding those two cans upright. Jawa is using thick tread tyres and dual front disc brakes for the motorcycle. Apart from that, a rear disc brake is even spotted on the motorcycle. The 660 cc engine on the Vintage is good for 49 Hp of max power and 57.5 Nm of torque. The front wheel on use measures 19 inch. The biggest question in the minds of Indian Jawa fans would be about its availability. Mahindra plans to manufacture the bikes at the Pitampur plant and would go for separate Jawa dealerships in the country. The launch event could be expected around the end of 2018 or in the early months of 2019. If everything goes as directed before, Mahindra could help the once loved brand establish itself in the Indian market. 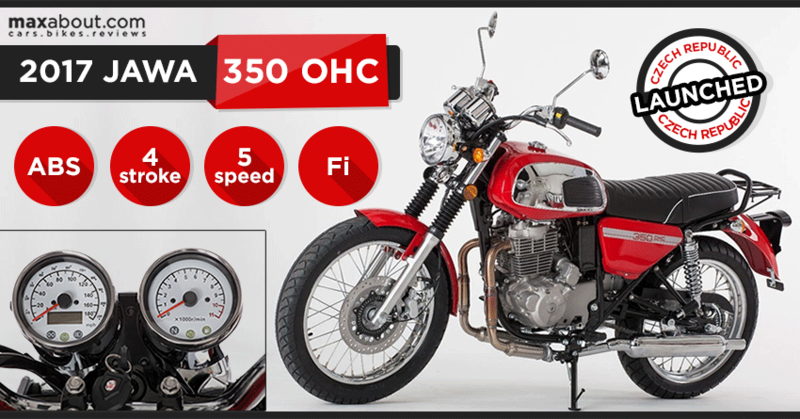 The Jawa 660 Vintage is priced at CZK 179,830 that amounts to Rs 4.70 lakh while price for the 350 OHC starts in Czech Republic at CZK 99,930 (approx INR 2.6 lakh).